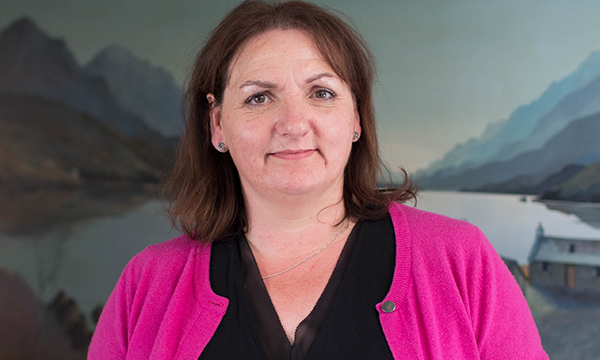 I’m a community respiratory nurse specialist in NHS Highland, Scotland and part of a team caring for people with chronic respiratory conditions, such as chronic obstructive pulmonary disease (COPD), bronchiectasis or pulmonary fibrosis. I see them either at home or in clinics. I was brought up in Lanarkshire and discovered the Highlands after a visit to Skye with my parents. I decided to apply to train in Inverness. During my training, I had placements in hospitals and communities all over the Highlands. Initially, I wanted to help children affected by the Romanian orphanage crisis in the early 1990s, but found they needed trained nurses. I had no qualifications and so decided to go back to school to get higher qualifications, and applied for nurse training. Meeting and spending time with people and listening to their stories. I love finding out what’s important and what motivates them. This helps us form the basis of working with them to manage their condition as well as they can. Trying to ensure that people across the Highland area have access to treatments that keep them well, such as pulmonary rehabilitation. This is one of the most important therapies in COPD and presents an awareness-raising challenge. Pulmonary rehabilitation is not a quick fix in the way that prescribing a medicine is and yet it's brilliant at giving people the confidence to get on with their lives. I've recently been awarded the title of Queen's Nurse by the Queen’s Nursing Institute Scotland and I hope to use this to help influence change where I can. When working with older patients who live with chronic respiratory conditions, what qualities do you think a nurse should possess? We have to realise that we can’t fix everything. Real listening is most important. When people are given the chance to have their story heard, it can help them reflect and understand what’s important to them and what strengths they have to build on. Nursing is a creative process and I’ve been lucky to have opportunities to work collaboratively with others to build tools such as COPD self-management plans, telehealth systems and the website mylungsmylife.org. When I see patients benefiting from these innovations, the hard work feels worthwhile. I love hill walking, although you wouldn’t know that by the look on my face while going uphill! I’m in awe of the resilience of families caring for loved ones with chronic respiratory conditions. Breathlessness can be such a difficult symptom to deal with and families often feel helpless. Despite the daily challenges, I see a lot of love and joy in people’s homes. Always be curious with an open mind and listen to the people you’re caring for – it’s the best way to learn. Be open to the opportunities that come your way. What is likely to affect nurses working with older patients who live with COPD over the next 12 months? The number of people diagnosed with COPD is increasing and if we keep doing what we are now, unscheduled hospital admissions will rise by 30% in the next ten years. Technology is developing quickly, allowing us to support people better closer to home. Nurses need to be a part of this to ensure it best meets people’s needs. Telehealth can help patients understand their condition and anticipate exacerbations of COPD, and avoid unscheduled hospital admissions. People tell us it works as a reminder to do things that keep them well such as their daily breathing exercises. We shouldn’t assume that older people won’t want to use technology; instead we can support them to be able to get the most out of it.